It’s Easter ! Lapin really wants a carrot treat. How will he get one ? Could the Easter Bunny possibly help him... ? 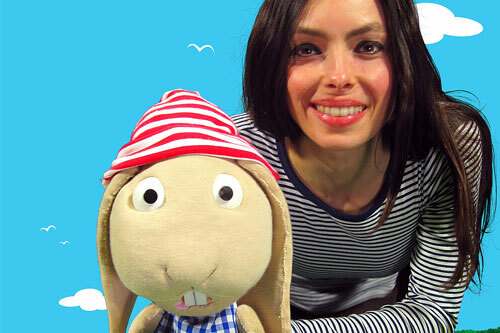 Join Lapin, the French rabbit and his friends in this fun, interactive puppet show with French keywords carefully dotted throughout the story and suitable for all non-French speakers. Le Petit Monde is a puppet theatre company based in Edinburgh, Scotland. Set up by Tania Czajka, Le Petit Monde creates shows that introduce young children and their families to her native French language and culture in the most natural way: through authentic French speaking puppets ! Tania performs in theatres, schools and nurseries. She also runs creative workshops in various settings and for different ages. For more information, please visit Le Petit Monde website.